Firstly I will explain what Cthulhu is for those that may not know. Cthulhu is an Entity created by writer H.P Lovecraft. Cthulhu was first mentioned in Lovecraft’s short story called “The Call Of Cthulhu” published in an American magazine “Weird Tales” in 1928. Considered as one of the Great Old Ones of Lovecraft’s Entities. He deplicts Cthulhu as a gigantic Entity worshipped by many occultist. 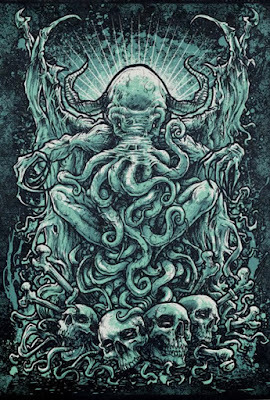 H.P Lovecraft’s description of Cthulhu is a creature of anthropoid outline. With an octopus type head with giant tentacles for a face and mouth. With a scaly, rubbery type body, large long claws on hind and forefeet, also featured with narrow wings on his back. Cthulhu’s appearance clearly is that of part octopus, part dragon and part human. Cthulhu stands hundreds of metres tall and has web like arms and legs. 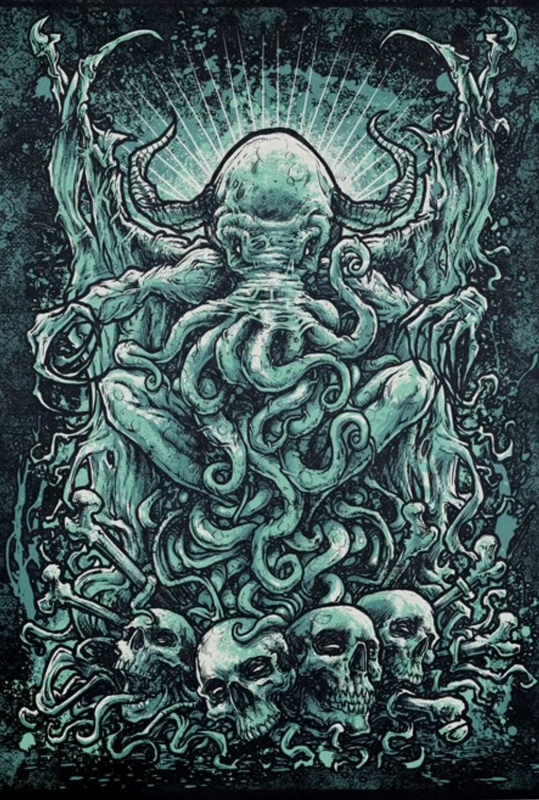 So Cthulhu is an Entity that seems to have cross-breed qualities, with that of an octopus, draconian and human connections. Also in the writings of H.P Lovecraft is the mention of the ancient Grimoire called the Necronomicon , in which I have a copy. In an article a few weeks back, scientists are claiming that octopuses might have originated from out of space. At least 33 scientists from around the world have contributed to a scientific journal, that proposes that the eight limbed octopus arrived here on earth, from a fertilised egg, from a comet. Another theory the scientists put forward, was that the octopus evolved from squids after the introduction of Alien D.N.A. The scientists said that due to the remarkable intelligence and evolution that became the octopus some 270 million years ago, it defies what we know, that evolution was a slow and gradually process. Scientists say that the genes that are responsible for these rapid changes do not have appeared to have come from their ancestors. The common genes that are found in cuttlefish, the squid and the octopus, are not easy to be found in any pre-existing life form on earth. This means that scientists are saying that these most fascinating creatures came from out of space, just like Cthulhu.